Custom Strip Brushes Designer | Felton Brushes Ltd. 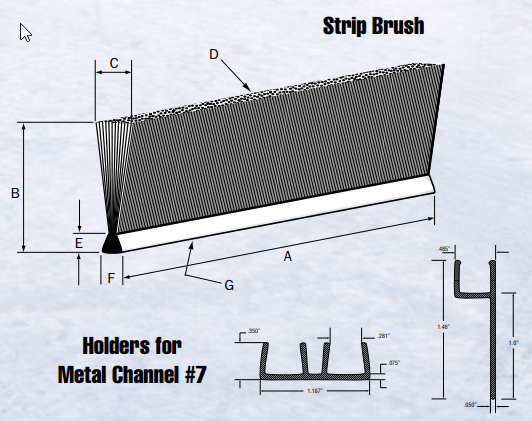 Strip brushes are used for various applications, including but not limited to: sealing, surface cleaning, descaling, dusting, splash guards on grinders and machine tools, spreading of powdery materials, noise/wind barriers, curtains to prevent hot chips from flying and much more. Trim lengths can be customized to virtually every need.